The stamp continued the use of the micro-text printing. 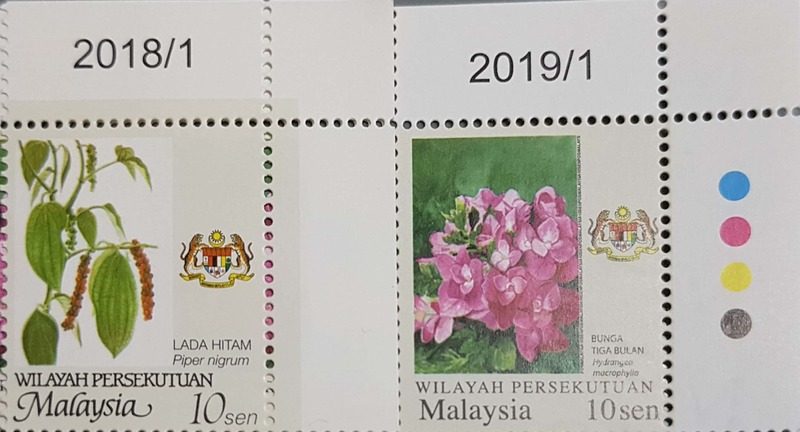 Thus the current line-up of the FIRST imprint of the Federal Territory Garden Flowers are 10 sen, 20 sen, 30 sen and 50 sen. Question: Have you seen any imprint later than 2018/1 of the 10 sen Agro Definitive?